For a free quote, click here or call 1-800-994-1891! Your customers are your priority. Their satisfaction with their auto transport is ours! 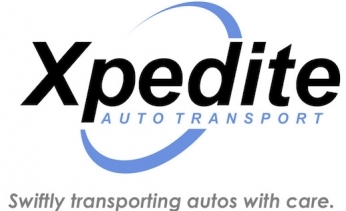 No matter what type of business you have, Xpedite Auto Transport partners with you and your team to ensure that your auto transport needs are successfully met. We are a licensed, insured and bonded auto transport broker with access to hundreds of licensed, insured and bonded truckers. Whether you require an open or enclosed auto transport, we deliver anywhere in the U.S. and we specialize in cars, SUVs and trucks. ​We realize that the actual auto transport is often the final step in the overall transaction with your customer. And, we understand that awaiting the arrival of their auto can be both exciting and stressful for them. Rest assured, you will find an extremely transparent, friendly, helpful and reliable team of professionals at Xpedite Auto Transport. Plus, we are easy to work with and care about your customers as if they are our own. Our job is not done until your auto transport is delivered. We have you and your clients covered. ​Your time is valuable. Let us give you some back. ​​​We do all the legwork and give you back valuable time to spend on your business and customers. ​Setting up an auto transport for your customer can be an all-consuming process with a lot of back and forth that can burn through valuable time. That’s where Xpedite Auto Transport comes in. We have access to hundreds of truckers, as well as feedback ratings from their clients — allowing us to be discriminating to get you the best quote possible based on your unique needs. While you focus on your business and customers, we do all of the legwork from quote through delivery. ​Our team has more than 50 years of customer service, sales and management experience in business that we leverage. We have worked with many dealers that see us as an extension of their team because, simply put, we care as much about their customers as they do. And, we work for you!